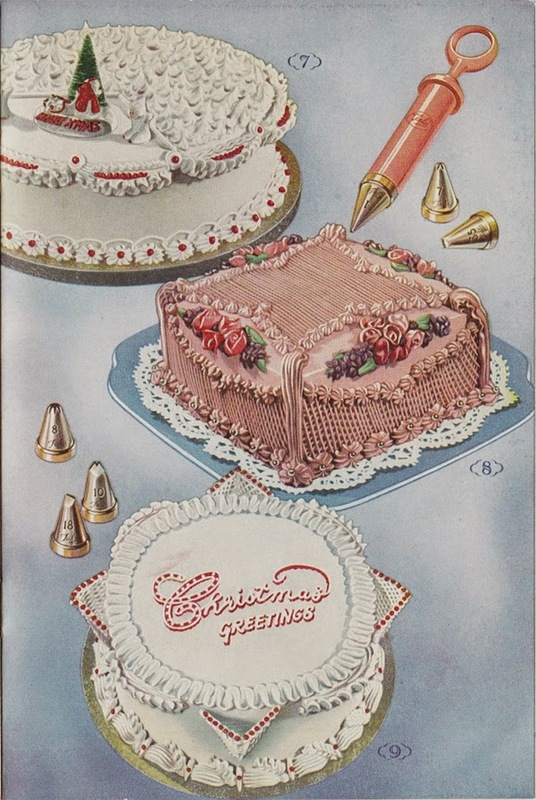 Happy Holidays: From my reference library - "How to Decorate a Cake"
From my reference library - "How to Decorate a Cake"
Food is definitely a part of holidays and cakes are a part of the celebrations, whether they are a simple iced cake or an elaborate work of art. 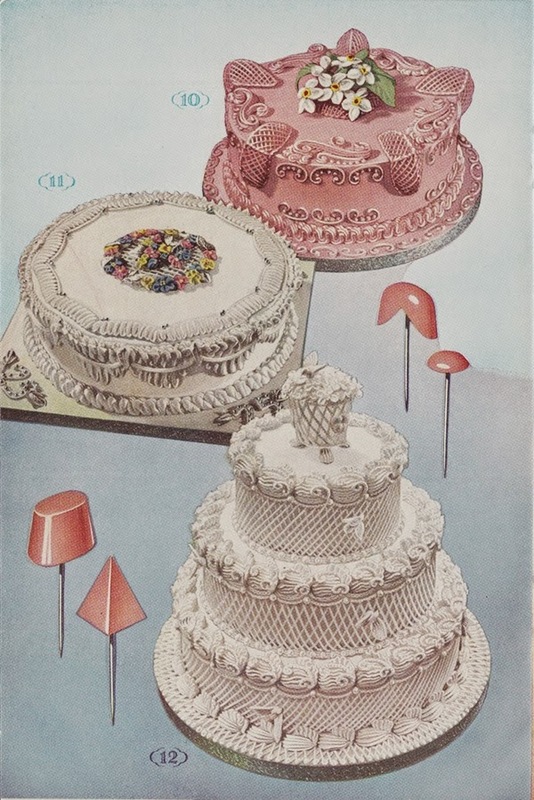 This book "How to Decorate a Cake - Let Anne Anson Show You" was published by Tala a British company that produced the equipment for cake decorating. 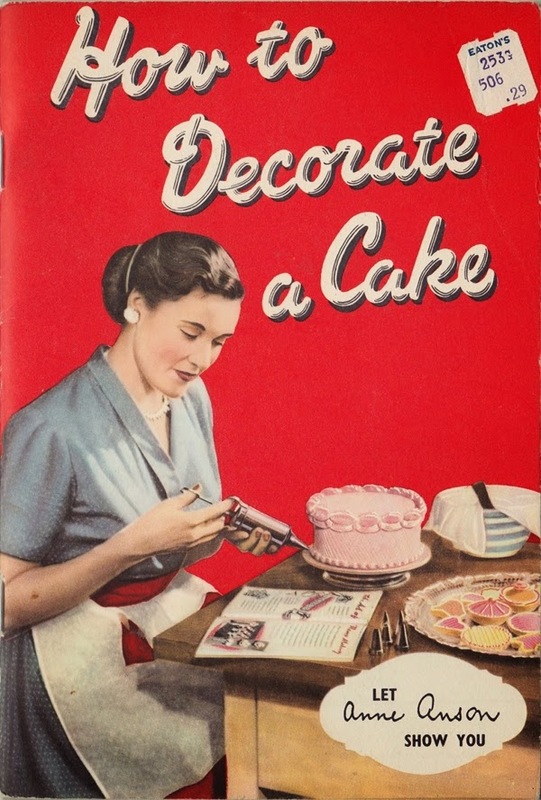 The back of the book shows what the hostess and housewife can accomplish with help from Anne Anson and Tala. 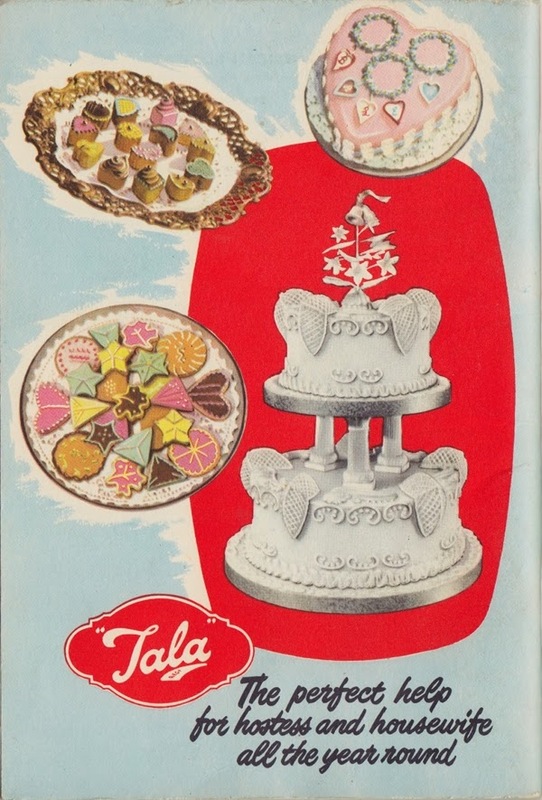 The following four colour illustrations from the book show finished decorated cakes and the Tala decorating utensils used to create them. These five small cakes were made from cardboard tubing, thick acrylic paint, coarse crushed glass glitter, and vintage milliner's fruit for a Christmas window display that I did for Hillside Shopping Centre. 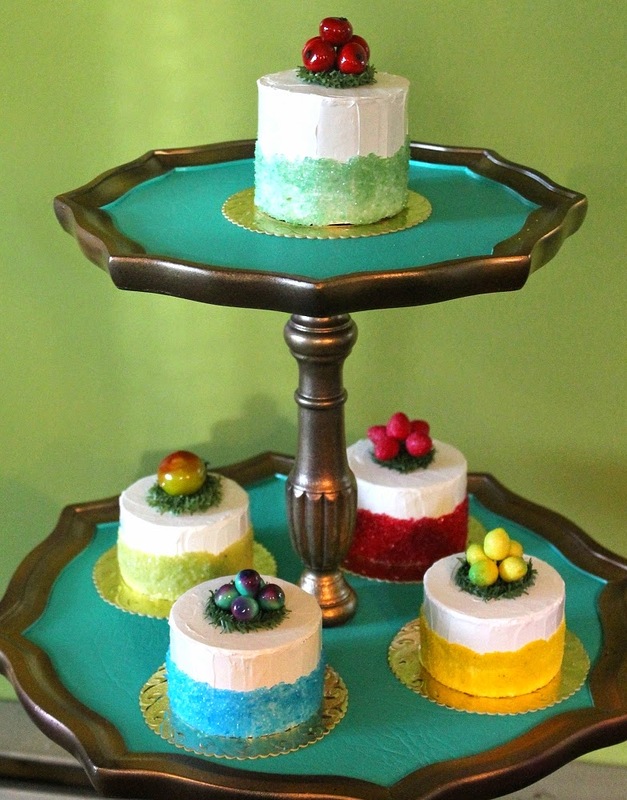 I will be creating a sculpture around these five cakes and other colourful desserts. 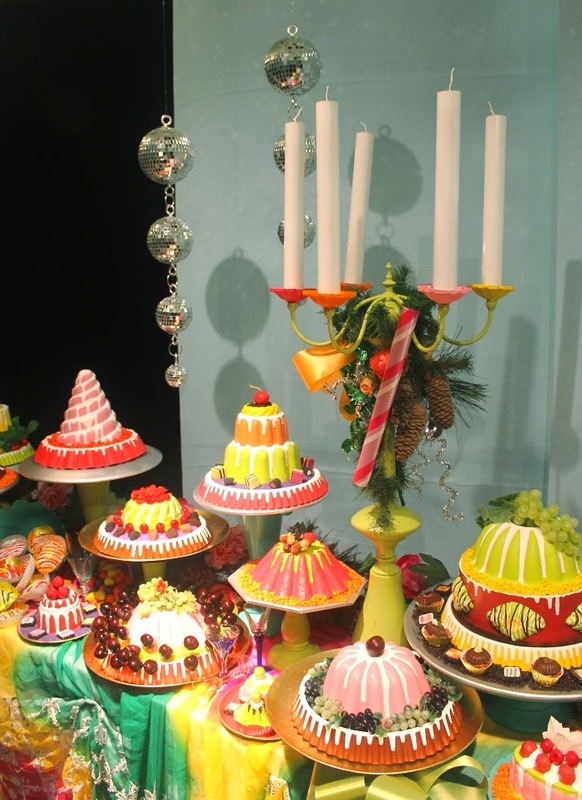 Three large cakes, a sample from about twelve cakes in all, used in the same window display were created using metal jelly and cake moulds painted and glued together. Faux fruit, fake candies, and coloured pebbles were added during the window installation to make them appear even more elaborate than shown here. 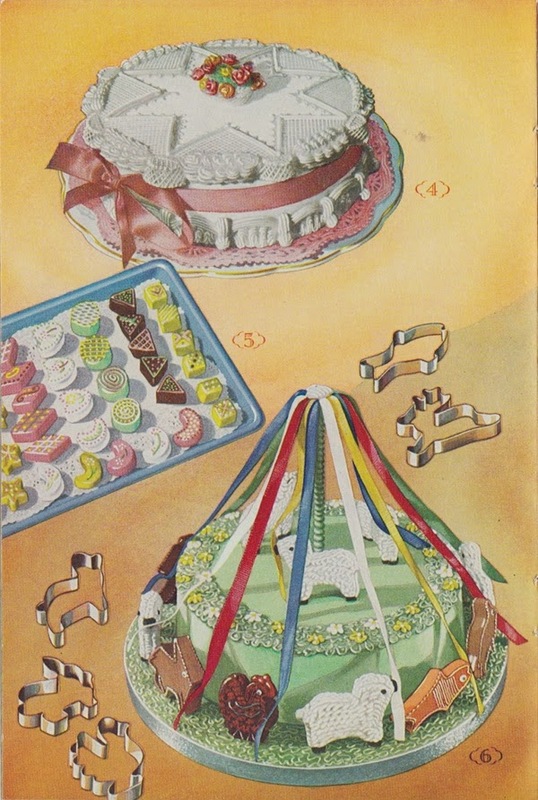 Here is a close-up of the installation showing the cakes, pastries, and candy on the table. There are more pictures of the window display here. This sculpture that I created, a working party horn, is a "Portrait Party Horn" of Byron the pastry chef. Byron is the pastry chef at Lovey’s Tea Room in the heart of Jollity Village. Whenever he is invited to a party he always arrives with a very tasty treat. 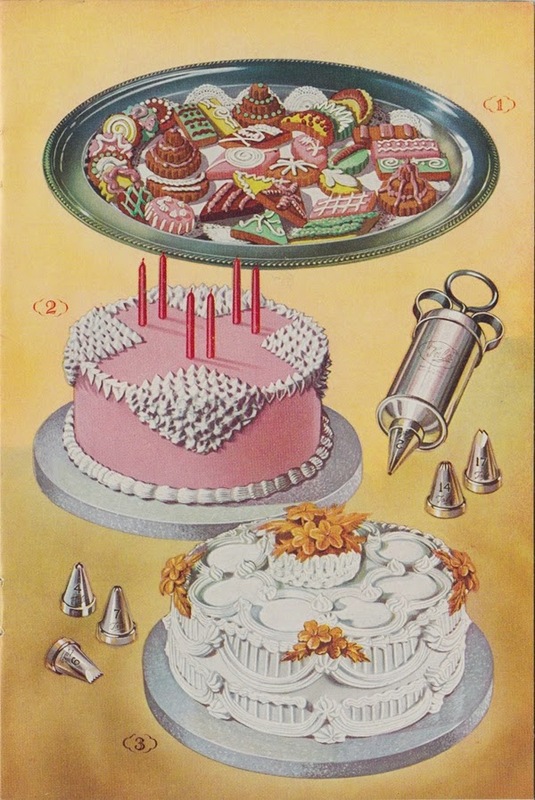 Go to my Etsy listing to purchase my "Portrait Party Horn – Byron the Pastry Chef". Welcome to the EHAG Emporium Sale!